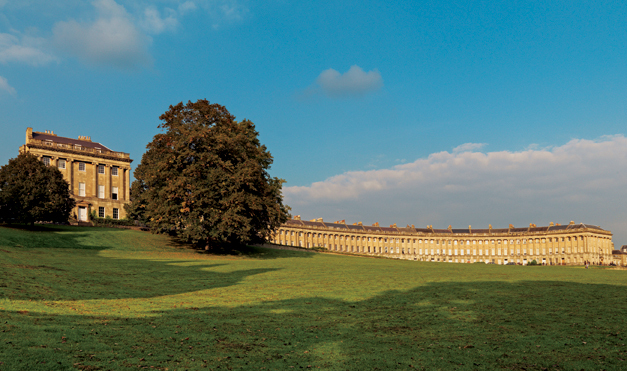 In 2014, The Spa & Bath House at The Royal Crescent Hotel & Spa won our award for the Best Spa for a City Break. I was the only Spa Spy that hadn’t had seen the spa, so when they launched a new afternoon tea menu in association with Taittinger, naturally I had to try it. Spa plus afternoon tea is very popular; whenever I’m out reviewing spas there are always excited spa-goers looking forward to an afternoon of indulgence. Our afternoon started in the sun-lit, one-acre garden which is cleverly hidden. If you’re passing by the front of the Royal Crescent you would never know it’s there. The Royal Crescent Hotel offers three different types of afternoon tea so you can choose depending on how sweet your tooth is. The Duke of York Afternoon Tea is most popular with men; it’s predominantly savoury with just a touch of sweet. The Elizabeth Montague Afternoon Tea is more substantial so great if this is your meal of the day before exploring Bath. The Royal Crescent Afternoon Tea is about as traditional as they come with delightfully-light scones and manageable sweet bites. If you’re having a very indulgent afternoon you can also opt for a Champagne Afternoon Tea Flight with three glasses of Champagne; a brut, a rose and a sec. Drag yourself away from afternoon tea and make your way to the spa, believe me, it’s worth it. The spa is intimate but has plenty of beautiful facilities. The design has used its status as an old coach house well, and the exposed Bath stone and arched windows make it feel almost like a chapel. Or perhaps a sanctuary, where you can escape the bustling tourist-filled streets of Bath. Downstairs you have the wet facilities, which houses a pool which is just big enough to swim a few laps, two barrel-style hot tubs and a wooden steam or sauna. There is also a soon-to-be-opened spa garden which will be a delightful extension of the space. Upstairs you’ll find eight beautifully kept treatment rooms and a relaxation area with big purple loungers. My therapist, Charlotte, met me in the spa reception area and took me up to the treatment room for my deep tissue massage (60 minutes, £85). A deep tissue massage is a really good way of seeing just how good a therapist is. There are no frills, no machines, no products there to distract, it’s entirely dependent on the therapist’s technical ability. Before the massage started we talked about areas of concern and Charlotte said she would focus on my upper back. We chose an ESPA massage oil by an aroma test, I opted for the Energising Body Oil with peppermint and eucalyptus. Charlotte started work on my back using her hands, fingers, arms and elbows to refresh and release the muscles in my back. She then moved onto my legs, arms, shoulders and neck. This treatment isn’t a blissful, drift out of the room on cloud nine treatment, but it will make your body feel better, though perhaps a little tender initially. Charlotte’s experience and technique show through her hands, working carefully where I needed extra attention but never veering into painful! I left the treatment room an hour later feeling better and vitalised. Perfect. If you’ve already had a chance to use the wet facilities before your treatment, you may want to step outside, curl up on the four spa-style loungers in the garden (it was sun trap while we were there) and order more Champagne. A most blissful Bath afternoon. We travelled from London Paddington Station to Bath Spa in First Class (no less!) with First Great Western.